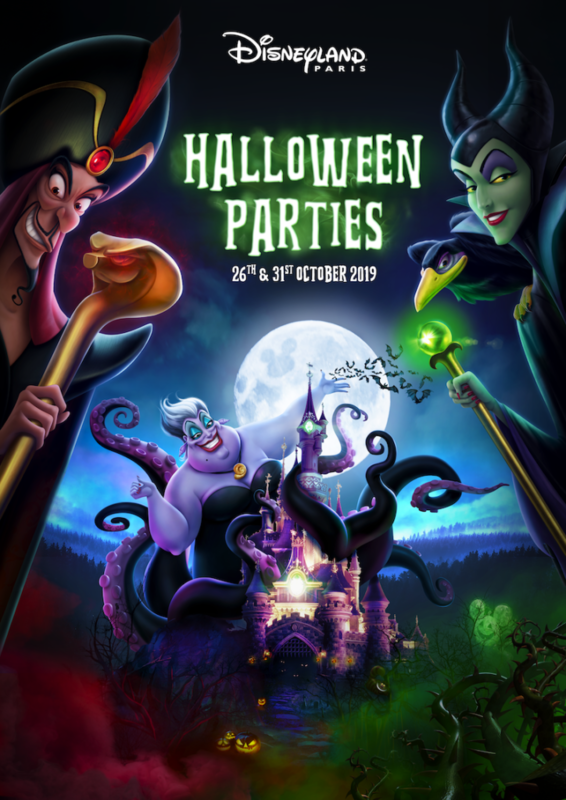 Halloween at Disneyland Paris in 2019 – October 26th and October 31st. Be dazzled by the unmissable The Disney Villain’s Halloween Celebration. Don’t miss this. special parade. Two stunning shows: Rock on with Disney Villains! and BIG HERO 6: YOKAI’S REVENGE with the exclusive presence of Baymax! Join Goofy and Max for an unforgettable Goofy’s Skeletoon Street Party. Enter the Halloween fair and dance all night surrounded by performances on the stages all around you!. If you’re brave enough, journey to Adventure Isle. Skull Rock and the lagoon are covered in an eerie evil fog. Look out for dead pirates, zombies, and creepy creatures. Enjoy music at Disneyland Park with Dj Don Diablo!